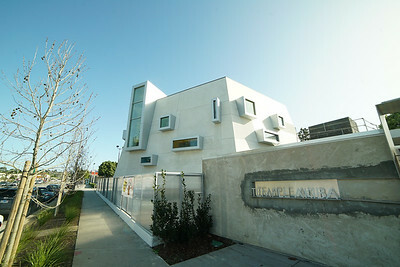 Temple Akiba is a reform congregation at 5249 Sepulveda Blvd, Culver City, CA 90230, with over 400 families. 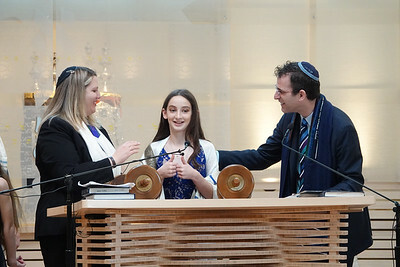 Rabbi Zachary Shapiro and Cantor Lonee Frailich lead the congregation, and are featured here in our photos with Bar and Bat Mitzvahs and their parents. 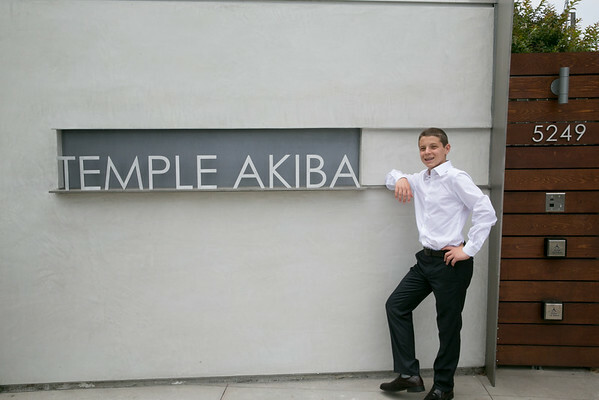 We love to photograph and video Bar/Bar Mitzvahs at Temple Akiba and have been at it since 2004--way before the beautiful new remodel. 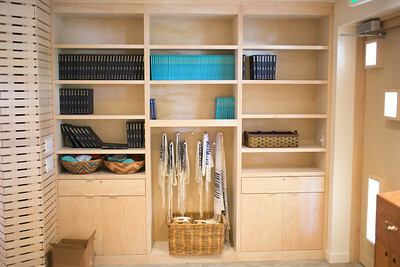 Check out our latest Akiba highlight reel. 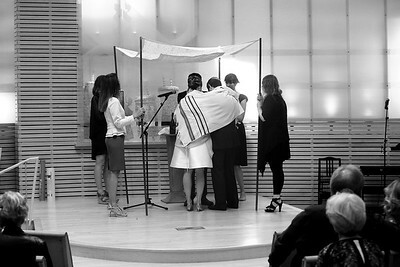 Call us at 310-594-8074 or write us to discuss your upcoming simcha. 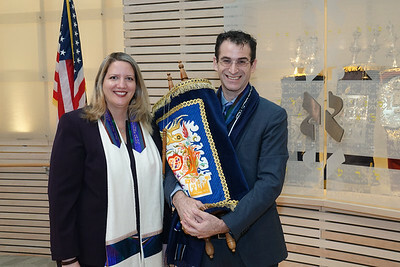 For more info about Temple Akiba, check out the Akiba website and the home page for Rabbi Zachary Shapiro. 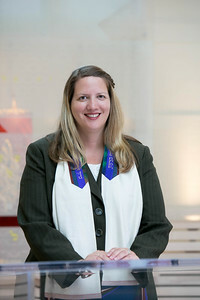 Jeff is SO easy to work with, and his photos of our wedding are beautiful! 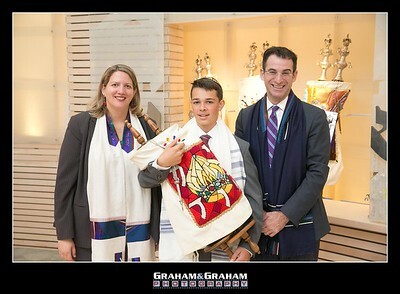 We mainly wanted candid shots, and he knew just what to do at what time to capture special moments. 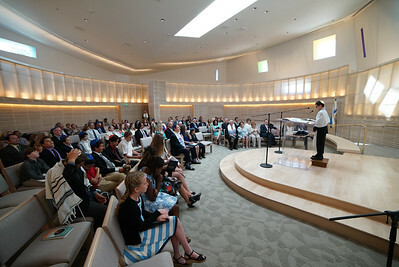 He took a few photos of the ceremony through a reflection; they are simple and artful. 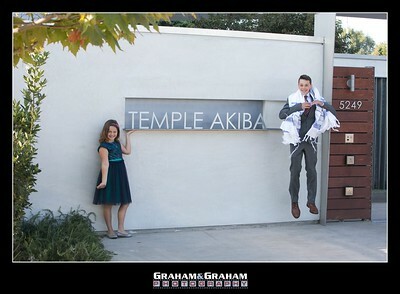 Temple Akiba Bar/Bat Mitzvah & wedding photographs + videos by Graham & Graham Photography, 310-594-8074. 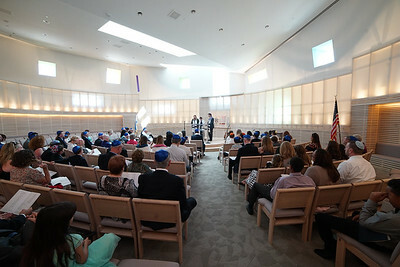 The Culver City reform synagogue has long been one of G&G's favorite places to visit. 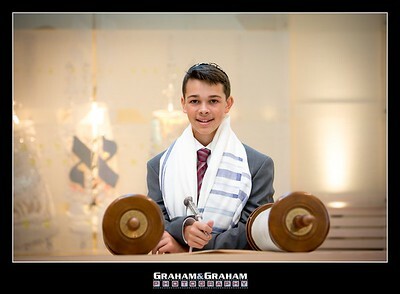 Post-haftorah and a hearty "yasher koach" at Temple Akiba, Culver City, California, by Graham and Graham Photography. 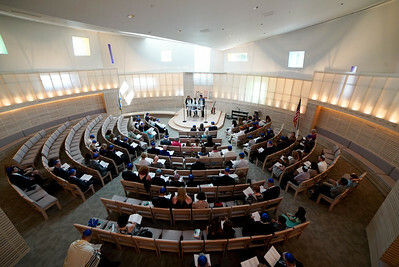 According to the Temple Akiba website, the congregation was formed in 1952 with four Culver City families. 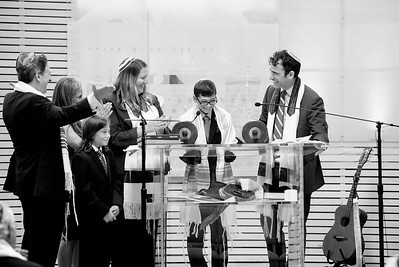 "Today, with over 400+ families, our many programs are a testament to our community’s engagement with Judaism." 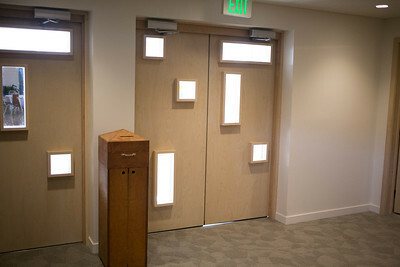 Akiba's mission "is to honor the traditions that have been sacred to this congregation as we move into an exciting future! 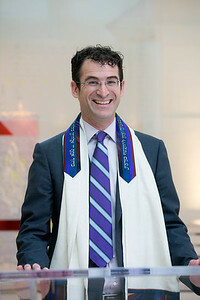 ...Our rabbi, Zachary R. Shapiro, embraces the congregation and the community with open arms. 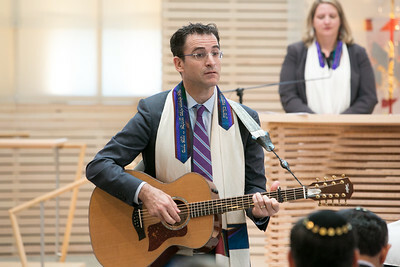 Through his leadership and passion we have moved into the 21st century with ever expanding programs, musical services, world re-known lecturers and exceptional social and family events." 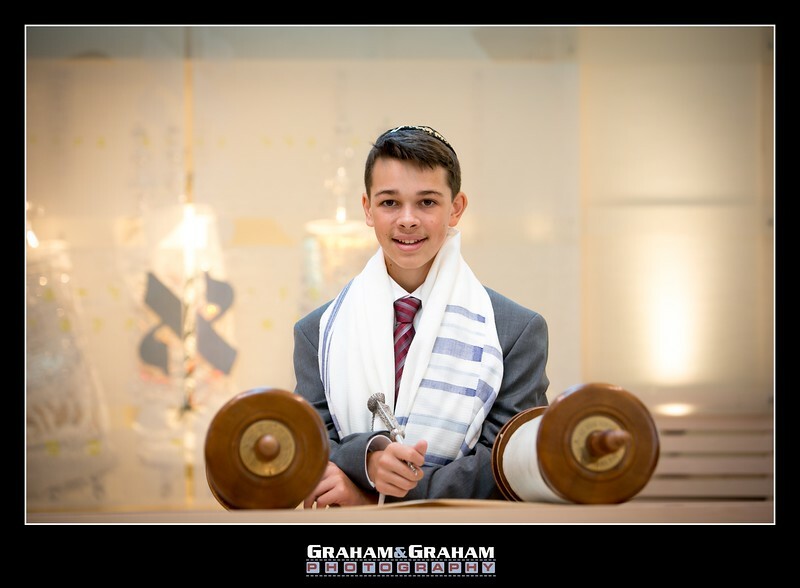 We consider it an honor to have the Rabbi request us to photograph the Akiba Confirmation class, which we have done at the conclusion of the class term now, for several years. 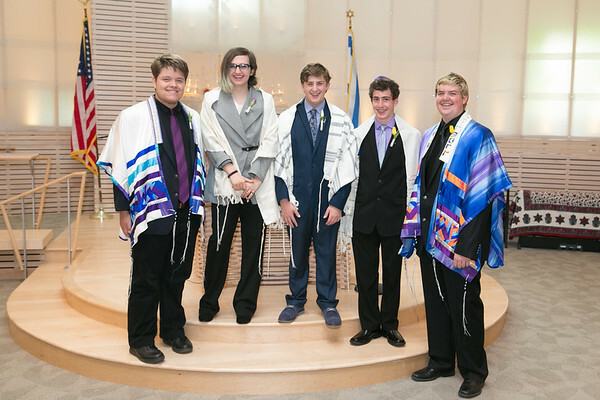 Congrats class of 2017!